I must apologise for another haul already! There are other posts coming, just as I'm currently housebound and bored, online shopping has become rather addictive! As if I needed any more encouragement to shop! Space NK also sent me quite a few lovely emails with discount codes and with Ndulge points to spend, I couldn't resist a treat. I've had my eye on quite a few things from NARS for ages now, yet I never ever purchase them. So while I've not felt great, its kinda amazing how you can convince yourself to spend to cheer yourself up! 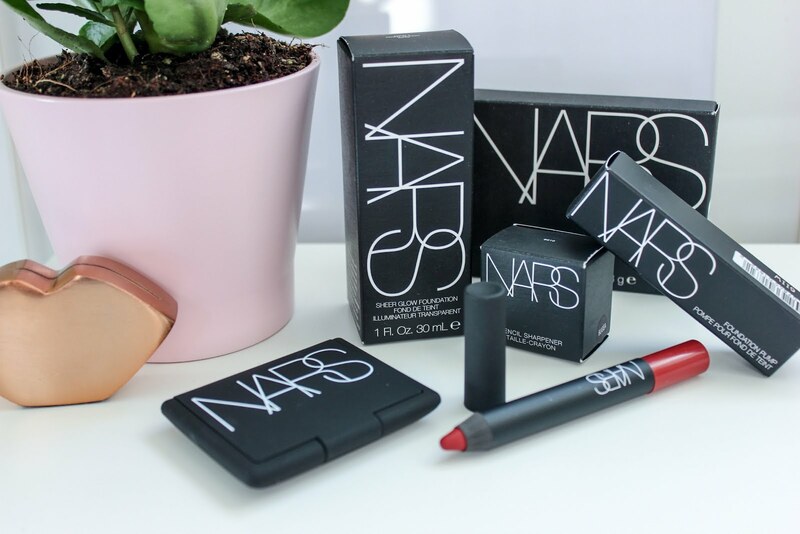 I can't say I've tried a huge range from NARS until now, I know the products that I love and I tend to stick with them and not try anything new. Which has led me to these repurchases, which I must admit its very rare repurchases happen unless they're in the form of an Illamasqua product. My first repurchase was Sheer Glow in Mont Blanc. Which is an absolute nightmare to get a hold of, I feel like I stalked the website for months for this little guy. I grabbed the Foundation Pump too, as thats always out of stock as well. Sheer Glow has to be one of my top foundations, as it doesn't cling to any dry patches and offers a really good coverage without looking or feeling heavy in the skin. Plus it comes in a pale enough shade for me, woohoo! I love the Light Reflecting Powder to set my makeup as its so finely milled. However I have it in the loose form and thats just a bit horrible to travel with. So I've finally bitten the bullet and invested in a pressed version, so my makeup bag no longer looks like a powder explosion. 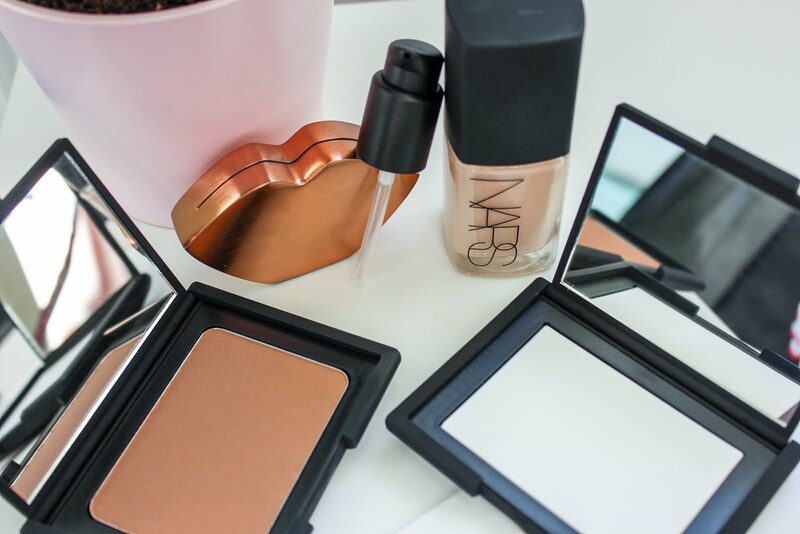 Laguna Bronzer is one of those cult NARS products. It's a bronzer I was scared of due to being so pale. However I was wrong, it doesn't leave me looking like I've been tangoed or muddy either. You can contour with it as its matte, but I just think it adds a lovely warmth to the skin. It was also a bit of a panic buy, as they've just launched the Sun Diffusing Bronzers as well. That range also includes a Laguna, so hopefully this one is staying put! 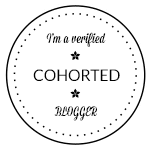 When it comes to trying something new, I've still stuck with products I know I love. I haven't really been as adventurous as I thought... I've gone for the classics such as Cruella Velvet Matte Lip Pencil. 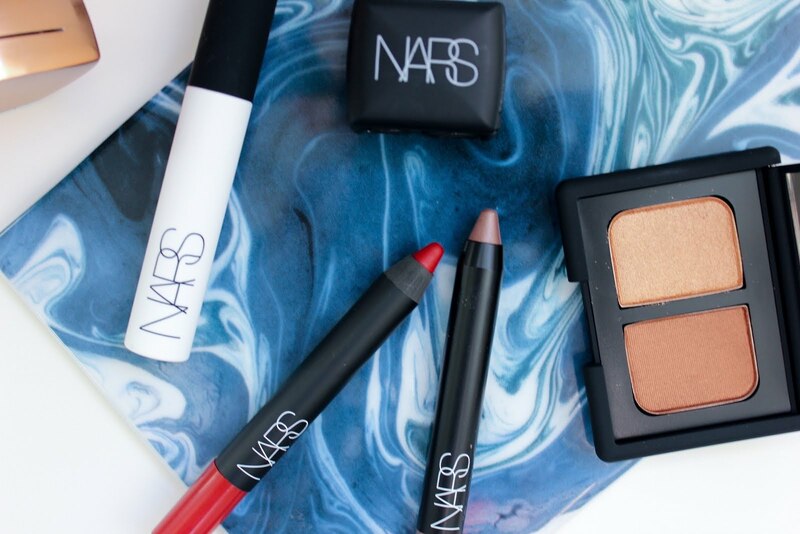 This stunning blue toned red has to be one of NARS' best sellers by far. I remember seeing Ingrid or Miss Glamorazzi as she used to be known, use the Smudge Proof Eye Shadow Base years ago. It's been on the wish list ever since, but as I'm so loyal to my trusty MAC Paint Pots, I've never purchased it. I'm looking forward to giving it a go though as I go through a love hate relationship with the Urban Decay Primer Potion. I actually picked up the Soft Touch Shadow Pencil in the shade; Iraklion, from TK Maxx. Just as a quick no fuss eyeshadow when I'm in a hurry or as a base for other shadows. 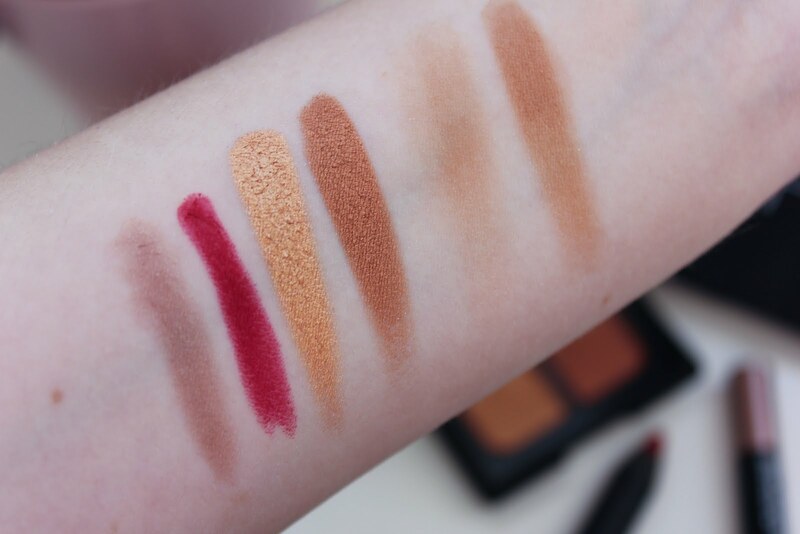 They're still available from NARS, but I cant really find them anywhere else. Definitely pop into TK Maxx though as it was filled to the brim with NARS when I went in. Finally I got the well loved Eye Shadow Duo in Isolde, I blame Zoella for this one. I think it'll be perfect for the Autumn Winter months, with its warm copper tone. Plus was it is slightly on the orange side, It looks great on blue eyes. I was also blown away by how creamy and pigmented the texture of them is as well! Oh and before I forget, a little Duo Pencil Sharpener made It's way to my basket too. I'm the queen of losing sharpeners, I swear they must run off with the bobby pins! 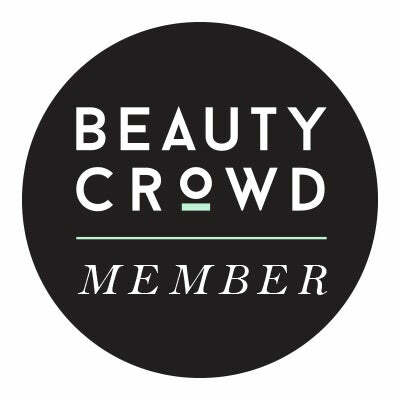 All of these products look amazing! I can't believe that I still haven't tried NARS Laguna bronzer, but Cruella is one of my favorite lip colors! What a solid haul! I bought a few products a couple of weeks ago and I've been using them everyday. So glad I finally bought the cult product 'Laguna'.